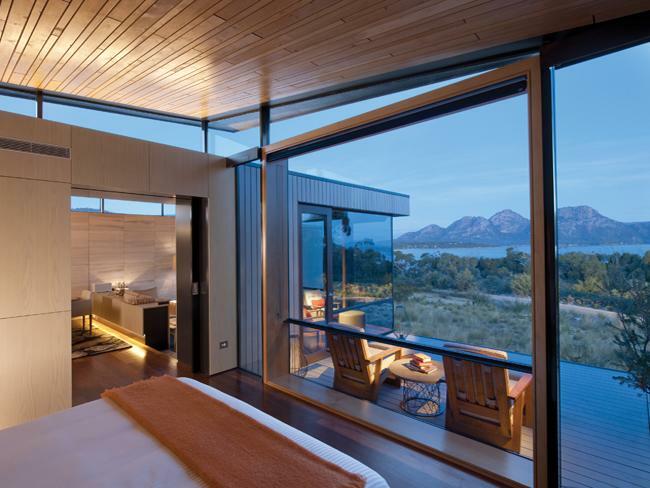 Australia’s newest luxury coastal sanctuary is Saffire Freycinet and is found on Tasmania’s East Coast. Sophistication and world-class architectural design blended with pristine landscape and undeniable beauty create the iconic backdrop that guests experience when they vacation in Australia’s Saffire. With only twenty luxury suites available, you are sure to have exclusive service and pure solitude. 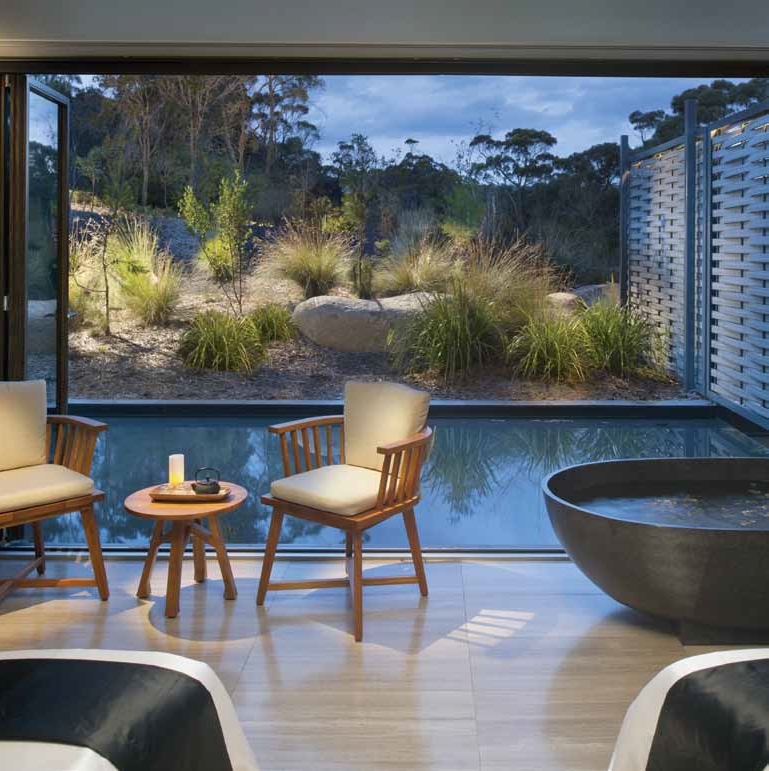 Each suite has been designed to maintain your utmost privacy while still allowing you to take in the natural views and light with large windows that reveal the protected wildlife and iconic landscape of the national park and Wineglass Bay. Included in your Saffire accommodation is a broad range of activities that will offer innovative options for all styles of travelers’ and moods. Bird watching, adventure walks, fishing, kayaking, archery, cooking demonstrations, kite flying, mountain biking, and even games along the beach front are just a few of the fun adventures that you can plan into your day. Enjoy a gratifying workout with the latest equipment in our state-of-the-art gymnasium which includes free weights, cardiovascular equipment, running machines and more. 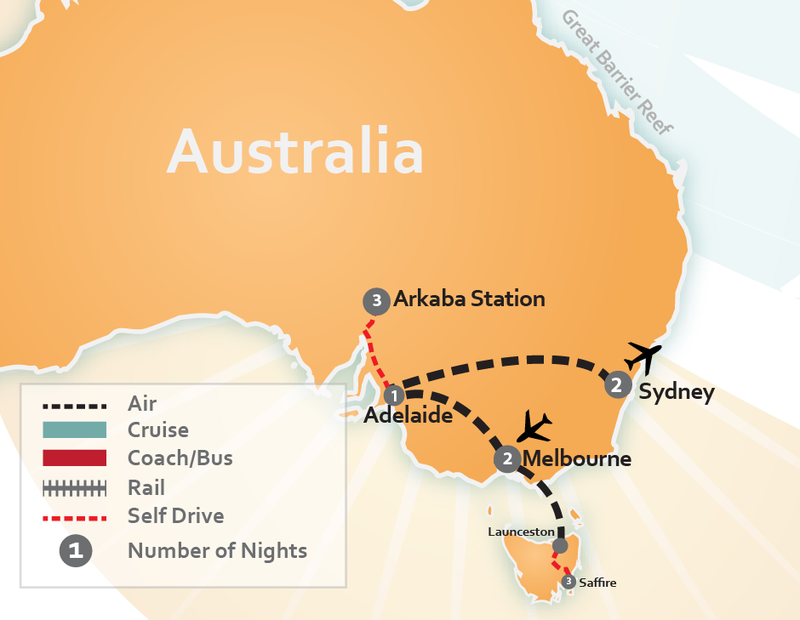 For additional costs, you can book a day cruise and explore the Great Oyster Bay, or go scuba diving off the shores of Freycinet Peninsula, take a day and go golfing, or even journey into the sky with a private helicopter tour. From adventure to romance, rejuvenation to exploration Saffire Freycinet will make your holiday in Australia more memorable than ever. Book your luxury vacation in Australia by searching the premade packages below or CLICK HERE to have one of our Expert Travel Agents prepare a Tailor Made Luxury Vacation Package just for you. (...) without feeling like we were nagging. And the day of our departure was very stressful with a changed flight ( no fault of About Australia) and a shuttle driver who arrived 50 minutes late and was lost between hotel and airport. Despite numerous calls and emails we could not get in touch with our travel agent and never heard from her til this day.